On this Groundhog Day, five films from the actor we could watch again, and again, and again, and again…. Mention Groundhog Day and anyone who loves movies will think of Bill Murray endlessly waking up to an alarm clock radio singing “I Got You Babe” rather than a reluctant rodent worrying about his shadow. As a TV news weatherman caught in an existential loop in the 1993 comedy, Groundhog Day, Murray left an indelible mark on the American imagination. His performance even changed the meaning of the term. In addition to being an event on February 2, Groundhog Day now means an unwanted situation that keeps repeating itself. The film’s concept has now been repeated in a variety of ways, including a 2004 Italian film, Stork Day, and a British musical (moving to Broadway this Spring). So this Groundhog Day, we celebrate Bill Murray, who became a comic treasure after getting his first laugh on Saturday Night Live. Here are five remarkable Focus Features films he’s made––enough movies to wake up for an entire working week with the same face, different film. Our only fear is that if that Prognosticator of Prognosticators, Punxsutawney Phil, gains access to Murray’s films, he may never go outside to glimpse his shadow again. In her film, Bob Harris is an older American actor who agrees to come to Tokyo to shoot a whiskey commercial after being offered an astronomical amount of money. There, he meets Charlotte (Scarlett Johansson), a young newlywed who has tagged along with her husband, a professional photographer on assignment. In his review, “Bill at His Best,” Los Angeles Times’ Kenneth Turan places Murray’s performance in the pantheon of great comic turns. “Like Buster Keaton, his deadpan predecessor, Murray has a face that's tragically sad in repose, and the heroic way he copes with civilization's discontents makes you both laugh and shake your head in rueful empathy.” From sitting soulfully alone in his Tokyo hotel room to posing, James Bond-style, for Suntory whiskey, Murray makes every moment of screen time unforgettable. Come awards season, he won a Golden Globe and was nominated for an Academy Award for his masterful performance. 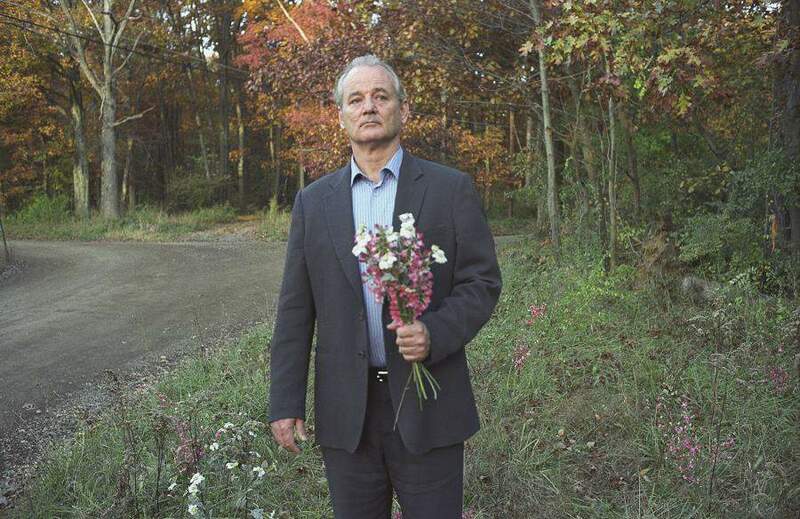 In his 2005 Broken Flowers, Jim Jarmusch found the perfect actor to express his deadpan cinematic style. Here Murray is cast as Don Johnston, an over-the-hill Don Juan in search of a lost love. After getting an anonymous letter letting him know that he is the father of an unknown 19-year-old son, Murray takes a road trip to find the mystery child’s mother. In visiting four of his old flames­­––Sharon Stone, Frances Conroy, Tilda Swinton, and Jessica Lange––Murray maps out a portrait of his life, as well as gains a vision of the future he might have had. Watch Broken Flowers on iTunes. 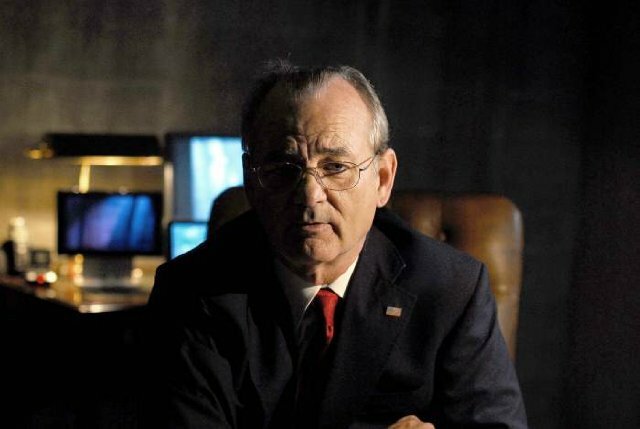 Bill Murray teamed back up with Jim Jarmusch for his 2009 international thriller, The Limits of Control, an offbeat adventure about a hit man called the Lone Man (Isaach De Bankole). Here, Murray is part of remarkable ensemble that includes Tilda Swinton, John Hurt, and Gael Garcia Bernal, all pieces of a complex puzzle of espionage and intrigue that may––or may not––have an answer. In the end, solving the mystery proves less essential than enjoying the search. “Visually mesmerizing, sonically splendid, The Limits of Control is as much about an artist and his muses as it is about the crime story that oh-so-meticulously unfolds,” explains The Denver Post’s Lisa Kennedy. Watch The Limits of Control on iTunes. 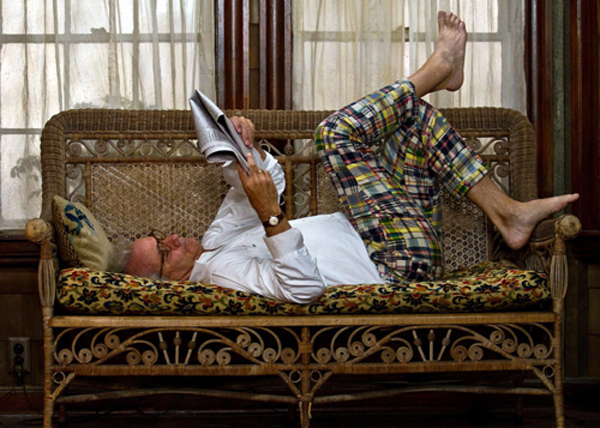 In Wes Anderson’s magical Moonrise Kingdom, Bill Murray plays the befuddled Mr. Bishop. His and Mrs. Bishop’s lives (Frances McDormand) are turned upside down where their daughter, Suzy (Kara Hayward), runs off with the orphaned boy, Sam (Jared Gilman), to find to a better life on the other side of the island. Murray joins an extraordinary cast, including McDormand, Bruce Willis, Tilda Swinton, and Edward Norton, who serve as the adults in this childhood romance. Watch Moonrise Kingdom on iTunes. Bill Murray gives a very personal tour of the Moonrise Kingdom set. 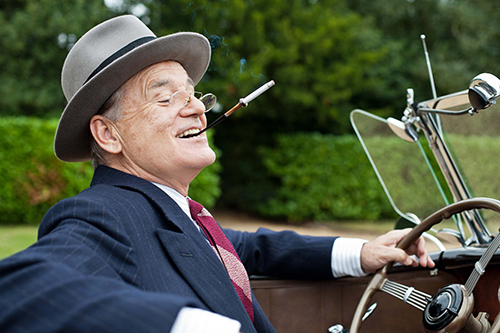 In Roger Michell’s 2012 Hyde Park On Hudson, Bill Murray plays President Franklin Delano Roosevelt during a special weekend in 1939. King George VI (Samuel West) and Queen Elizabeth (Olivia Colman) visit Hyde Park, NY, Roosevelt’s country retreat, to forge a new alliance on the eve of World War II. During the weekend, Roosevelt juggles the royals, his complex marriage to Eleanor (Olivia Williams), and a burgeoning relationship with a local confidant, Daisy (Laura Linney). Watch Hyde Park on Hudson on iTunes. What Kind of Character Are You? Find Your Focus Costume. From Coraline to Kubo and the Two Strings, fans pay tribute to their favorite films. What makes this the ultimate Wes Anderson film? Let us count the ways.